During the late Sixties and early Seventies, surfing was a different animal. As Gordon Merchant might remember it, it meant a van packed to the the hilt with surfboards, surf maps, tents, and sleeping bags and heading to the coast for a classic surfing safari. Merchant had already introduced a surfboard with a tucked under edge and the first semblance of a leg rope, but it was the development of tougher board shorts that made a lasting impact. Merchant's Billabong is still at it, too. Their Platinum X Recycler Series board shorts are made from a unique process that turns plastic polyethylene terephthalate (PET) bottles into a stretch fabric. It's a smart idea, given that PET fibers are also the same fibers used to make most sailcoth. As a material, it has resiliency, high abrasion resistance, high UV resistance, and high flex strength. But even more remarkable, Billabong has saved over 14,000,000 plastic bottles from ending up in landfills. Recycler board shorts rock Marley magic and Rastafari color. Using Bob Marley and Rastafari as an inspiration to capture a sense of the mystical wilderness, Billabong created a line of board shorts that carry with them a sense of environmental awareness. The shorts are not only made with recycled polyester, but also capture the images or colors associated with Marley and Rastafari. 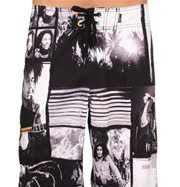 The flagship shorts, Billabong Rastaman Vibration, carry a collage of vintage Marley black and white archival photos. The construction is solid, with a Velcro fly and tie closure. The material is 100 percent recycled polyester, with the balance made from all organic goods. Like most board shorts, they hit at the knees ($54.50 U.S.). What's really striking about these Billabong board shorts is that Merchant and the company have never settled. Most surfers know that Merchant achieved his primary objective to develop the highest quality, best cut board short on the market. But 30 years later, it's great to see they are still looking for a bigger wave. Billabong Rasta's board shorts have a striking patchwork design with muted yellows. Like the other Marley collage, they have a tie and Velcro closure and one pocket on the right hand side. The difference is in the martial. The Rasta's board shorts are made from 47 percent recycled poly with the balance being cotton ($59 U.S.). 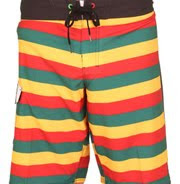 My favorite is the Billabong Exodus board shorts (pictured), with the simple Rastafari color scheme of alternating green, yellow, and red stripes, with each tricolor combination separated by a thin line of black. The design is virtually the same as the other two board shorts, but the material is 87 percent recycled poly and the balance spandex ($60 U.S.). All three combine key materials and components to create the perfect board shorts with extreme flexibility, lightness, and comfort. In Southern California, the weather is still cool enough to wear wetsuits, but it won't be long before the board shorts are all that's needed. Environmentally smart board shorts aren't just for guys. Although the colors and patterns aren't generally as busy, the construction is much the same. The women's Piper board shorts are also made of 100 percent recycled polyester. The design carries most of the same features, except the tie and Velcro fly also has a button. The shorts don't hang to the knee. Instead, they have a 5-inch leg. The primary board shorts are made in black, but there is also a striking solid turquoise for anyone looking for color. Both designs also have a side pocket with a Velcro flap closure. For a shorter cut, the Billabong Ruthie board shorts (also in turquoise) with a dual snap instead of tie, works. All three are made with 100 percent recycled polyester (ranging from $34 to $39.50). 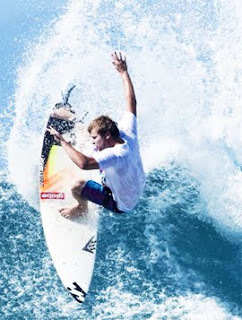 Billabong Recycled Board Shorts Shoots 8.6 On The Liquid Hip Richter Scale. Billabong will be celebrating its 40th anniversary in two years, if you can imagine. It all started in Burleigh, Australia, when Merchant, aided by his wife, Rena, began producing handmade board shorts under their flat overlooking the surf. Now, they help save the planet with shorts made from plastic bottles. You can find Billabong at a number of retail outlets, but one has a history just as rich as Billabong. Becker Surfboards first opened up in Hermosa Beach, in sunny California in 1974, just one year after Billabong entered the scene. Many people consider them old-time industry dogs who know about the best gear, who still get excited looking for what people want and need. 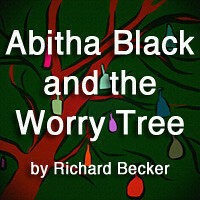 You can find more surf scene fashions and accessories at Becker Surf.